Peter Falk and Alan Arkin make for a hilarious dream team in this beloved American sidesplitter. 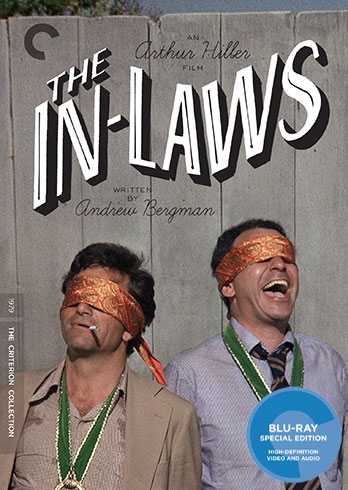 Directed by Arthur Hiller from an ingenious script by Andrew Bergman, The In-Laws may at first seem like a generic meet-the-parents comedy, as Arkin’s mild-mannered dentist suspiciously eyes Falk’s volatile mystery man, whose son is engaged to his daughter. But soon, through a series of events too serpentine and surprising to spoil, the two men are brought together by a dangerous mission that takes them from suburban New Jersey to Honduras. Fueled by elaborate stunt work and the laconic, naturalistic charms of its two stars, The In-Laws deserves its status as a madcap classic—and has continued to draw ardent fans in the years since its release.